That is what Clay typed as a greeting when we got to the stables for his first official riding lesson. 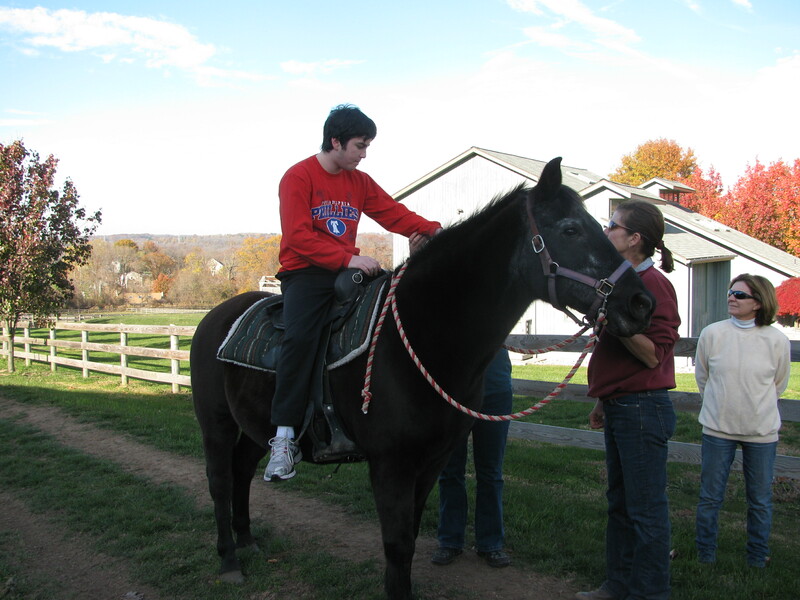 Last time we took him to Sommerfield Stables at Water Stream Farm, he surprised everyone by climbing on a horse named Rocky and going for a ride. Over the years, we’ve taken Clay for swimming lessons, gymnastics, fitness classes, soccer. Looking for something, anything, that would grab him. Nothing stuck, until we discovered his interest in farm animals this past summer. 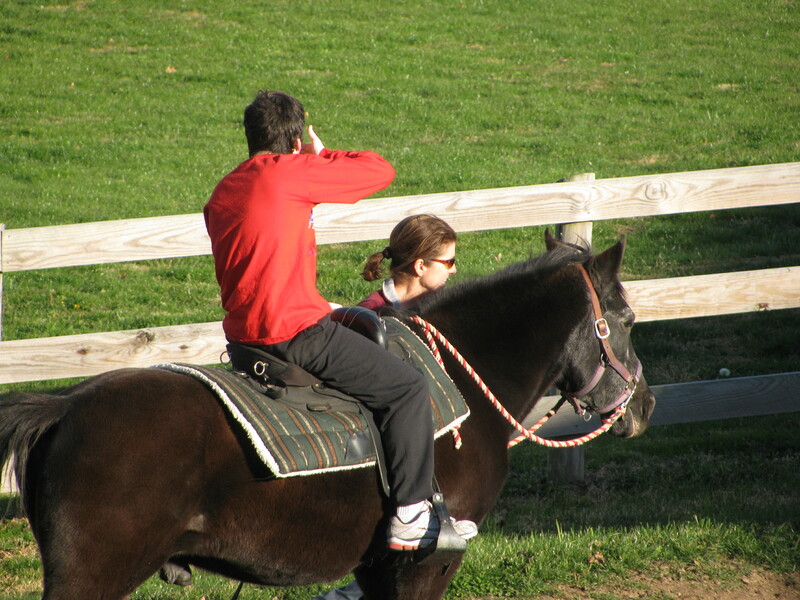 He has taken to horses, in particular, with a natural comfort level and enthusiasm we have not seen before. 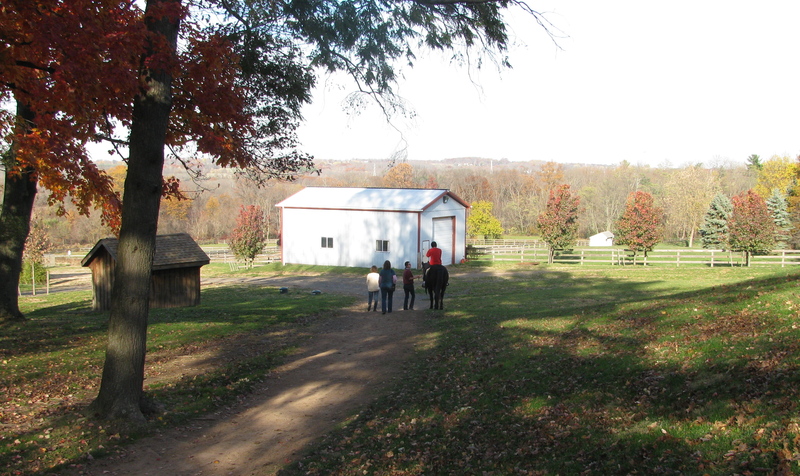 When we got out of the car on this sunny fall afternoon, Clay went straight for the stables. 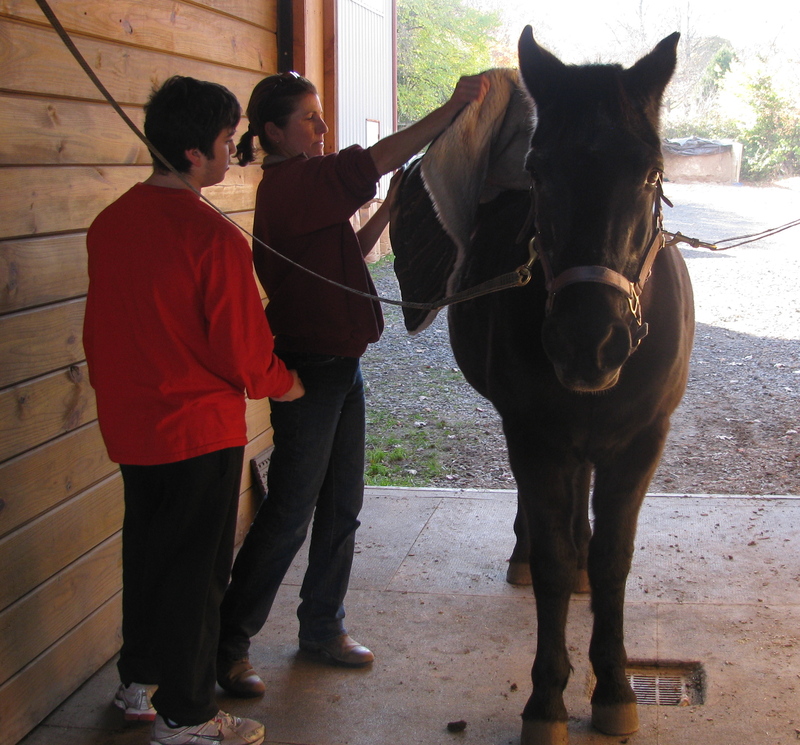 A few horses were in stalls being prepared for riding. He touched each one. 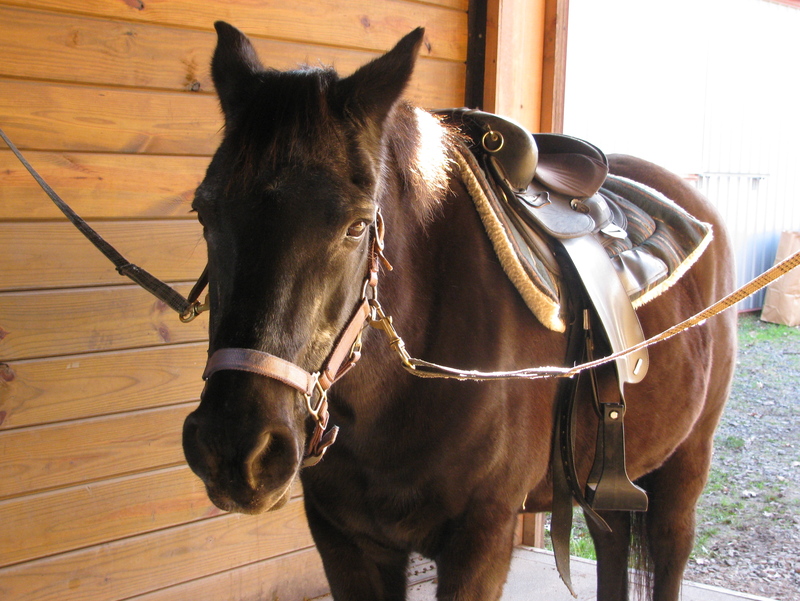 Even leaned his forehead against the muzzle of one that was a foot taller than him. 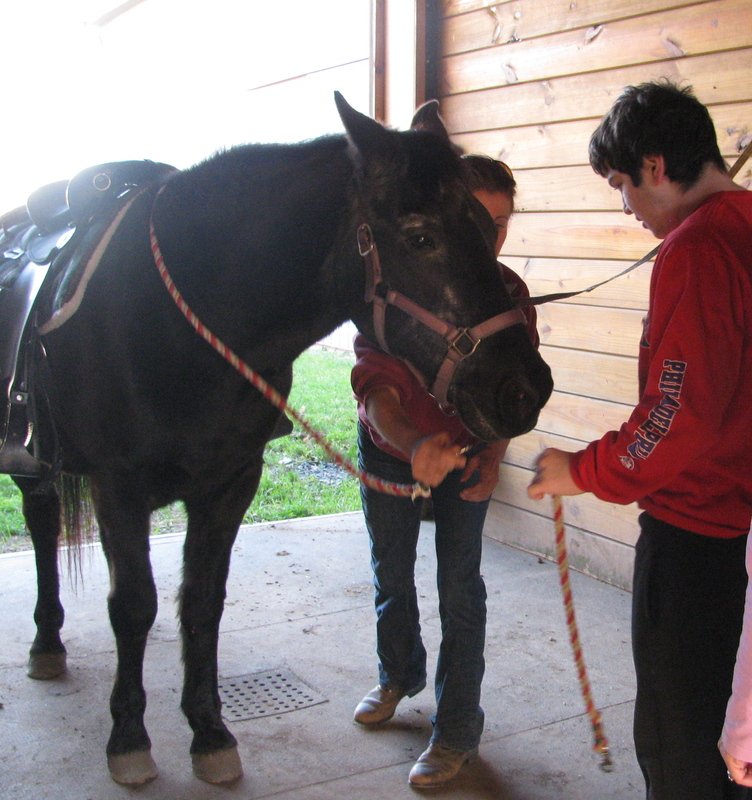 Clay started his lesson by learning to brush Rocky, comb his tail and dig the dirt out of his hooves. 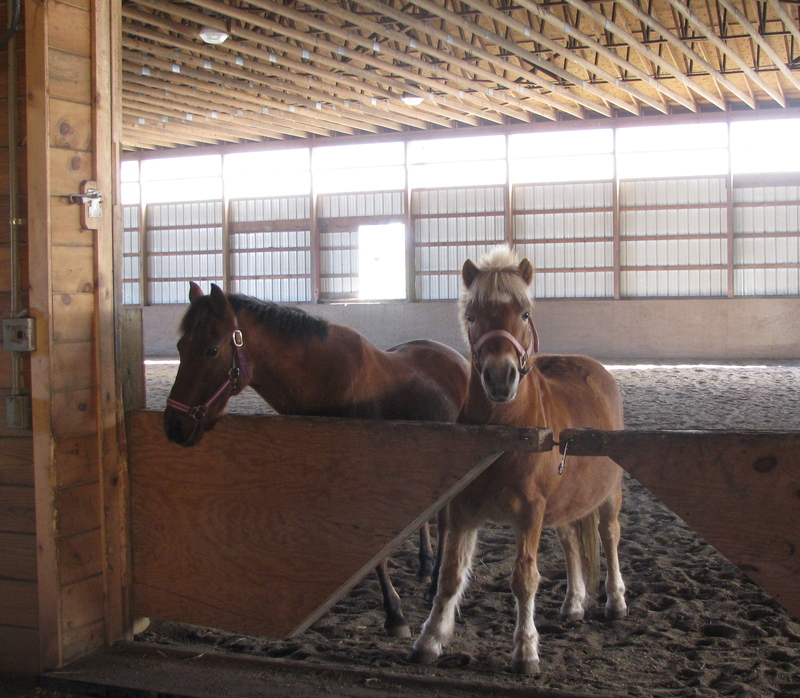 Two other horses nearby were jealous of all the attention Rocky was getting, and came over to get some of their own. 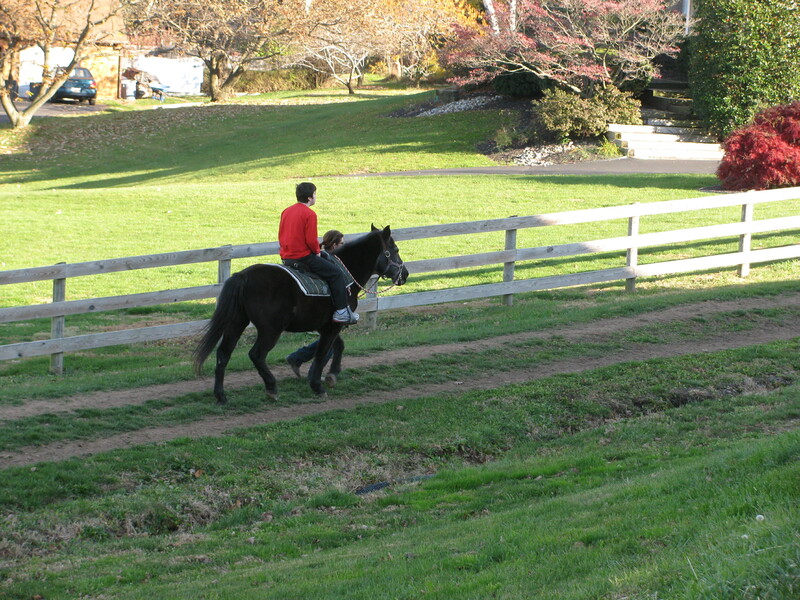 Next, it was time to saddle up and lead Rocky out for a ride. 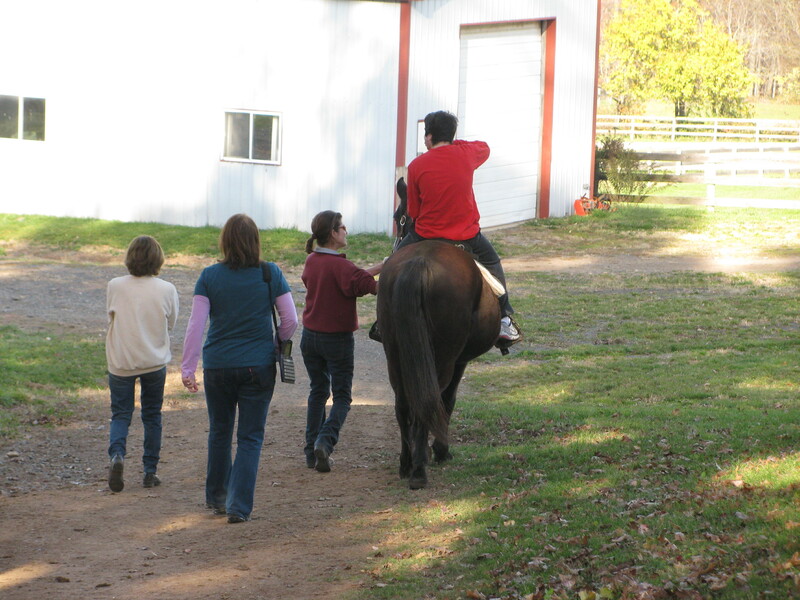 After a lap or two around the practice area, Clay and the trainer, Margrit, headed off for a slow wide circle around the stables. Clay was “talking to the hand” (above) through much of the lesson, a sign that his head was buzzing with things to say. 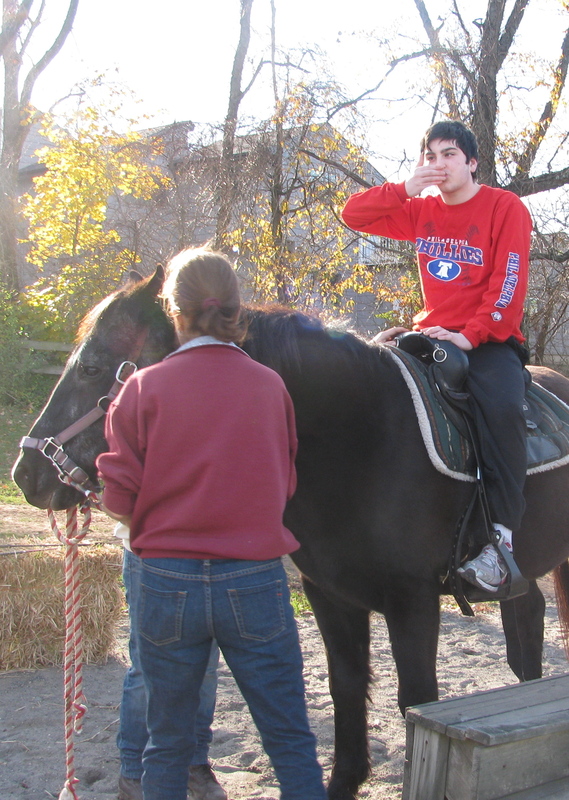 “Can I put the horse in a trot?” the trainer asked. “Do you want to go a little faster?” My wife stepped up with the computer keyboard Clay uses to communicate. 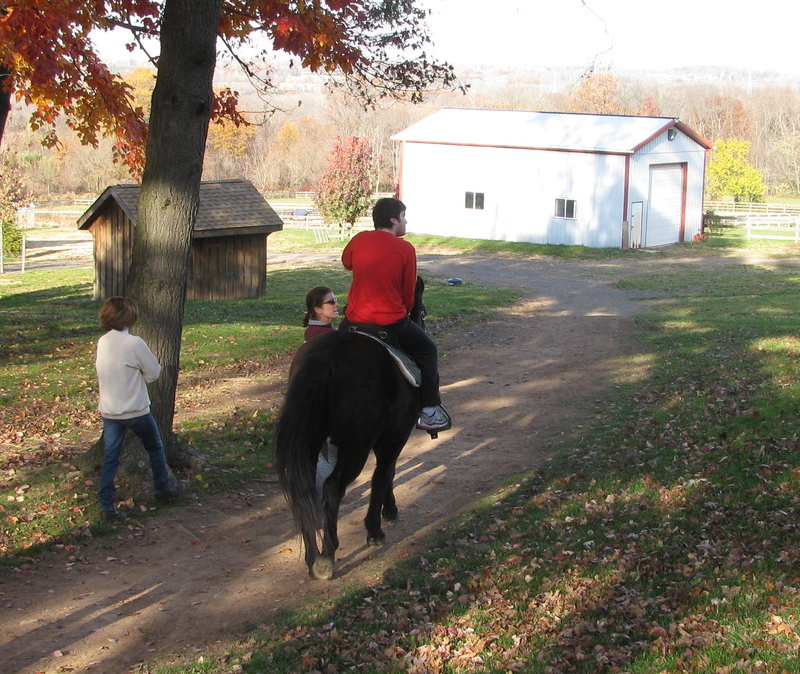 Margrit put Rocky into a trot, and Clay clapped and smiled, clearly loving the bumpy ride. 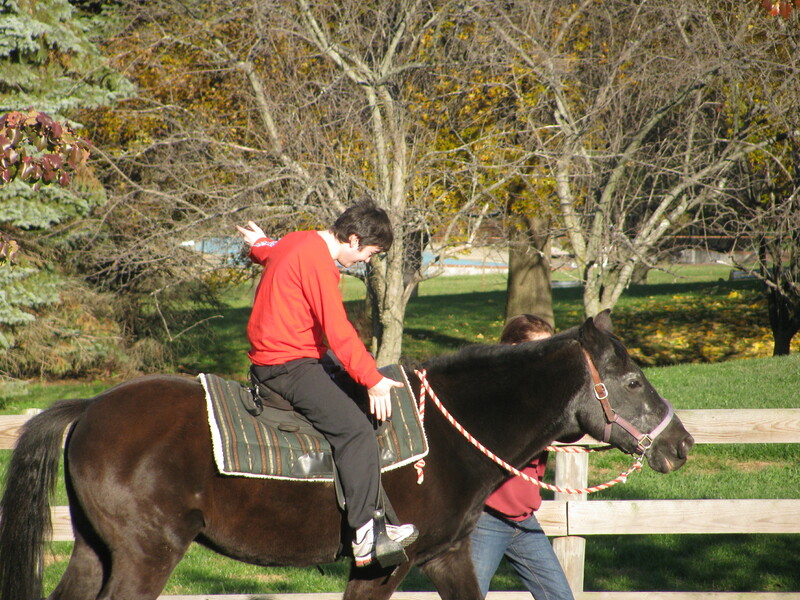 After the last lap, Clay dismounted (with some help) and skipped and leaped his way excitedly back to the stables. 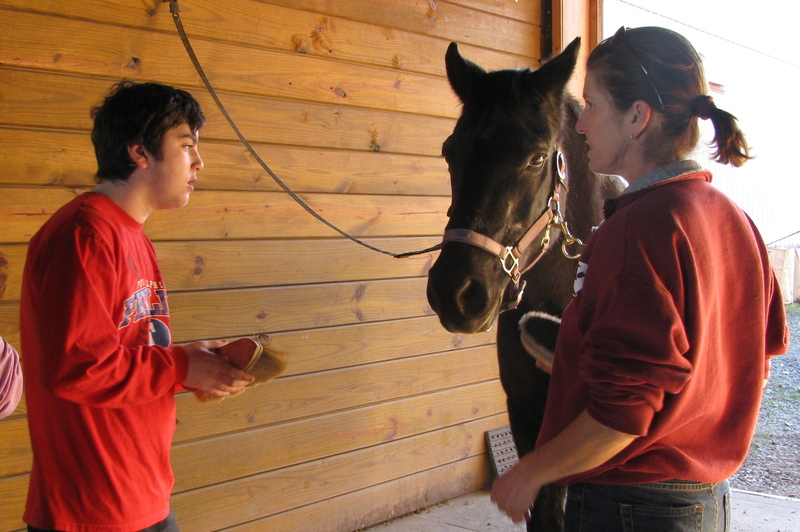 He fed Rocky an apple as a treat and a thank you. 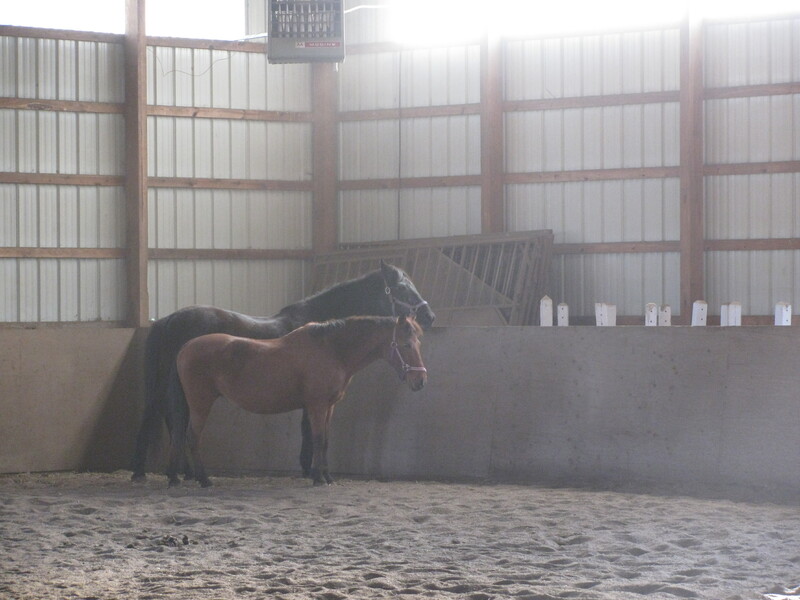 Rocky went back to the inside practice area with two other horses. Clay went too, and suddenly the three horses were circling the area, kicking up dust, with Clay chasing not far behind laughing and clapping, like he was part of the pack. They settled down, and it was time to go. My wife asked what Clay thought of riding Rocky. Lesson number two has been booked. This entry was posted on November 15, 2010, 3:24 pm and is filed under Communicating, Daily Life. You can follow any responses to this entry through RSS 2.0. You can leave a response, or trackback from your own site. 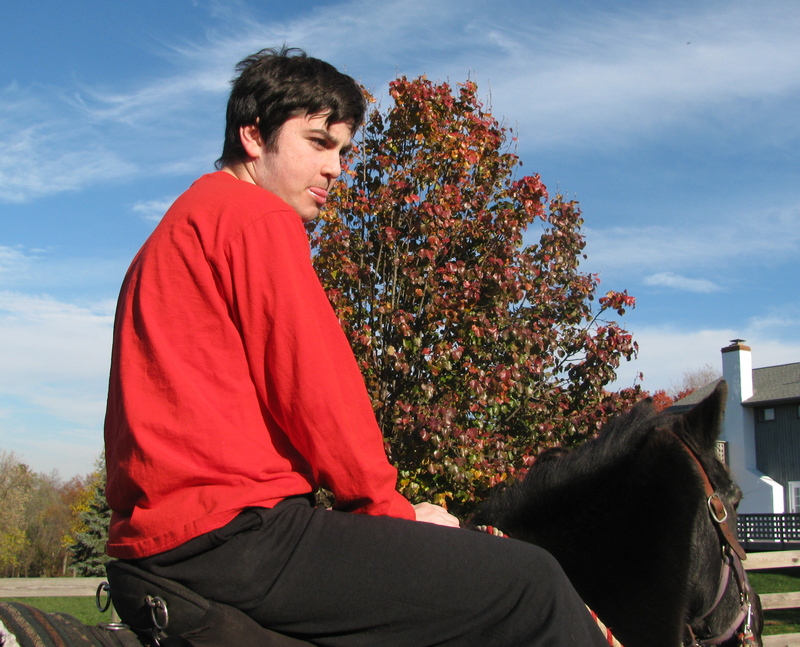 Clay’s new nickname is “horse whisperer”! There is definitely communication and connection with these guys.